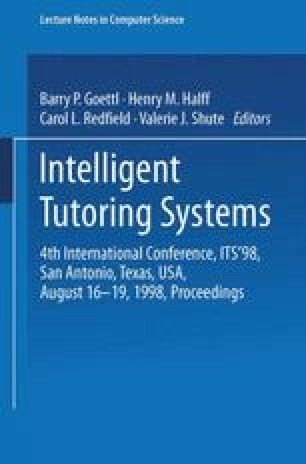 In this paper we describe the application of machine learning to the problem of constructing a student model for an intelligent tutoring system. The proposed system learns on a per student basis how long an individual student requires to solve the problem presented by the tutor. This model of relative problem difficulty is learned within a “two-phase” learning algorithm. First, data from the entire student population are used to train a neural network. Second, the system learns how to modify the neural network’s output to better fit each individual student’s performance. Both components of the model proved useful in improving its accuracy. This model of time to solve a problem is used by the tutor to control the complexity of problems presented to the student.